We Promise Not To Call Her An Ex-Jailbird Again, So Can We Interview Martha Stewart About Her HSN Debut? 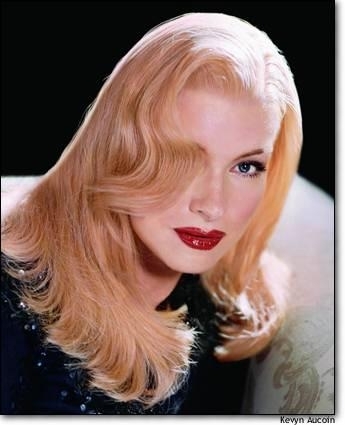 Martha, daughter of Nutley, has HSN given you our interview request yet? HSN Wednesday released the details of Martha Stewart’s July 19 premiere on the home shopping network. But we’ve got more important matters on our mind. We’re wondering what’s the status of our interview request with Stewart, who hails from a town we lived in for more than a dozen years: Nutley, N.J.
Maybe a week or so ago we got a general press advisory from HSN’s outside PR firm asking if we would like to interview Stewart. This was after we broke a story about her coming to HSN, and referred to her as “an ex-jailbird” in our headline. That was very childish of us, but it is the truth. But she had paid her debt to society. Anyway, we put in our interview request back then. Still not a peep from HSN. Martha, as the press release refers to her, will also be introducing the Cricut Cake Martha Stewart Crafts Edition, a cake decorating machine that you’ll never see in out kitchen. We haven’t even put our oven on since March, which was to cook a DiGiorno frozen pizza that our cheap date didn’t even want to pay for. Stewart’s new machine, which is co-branded with Cricut Cake and Martha Stewart Crafts brands and has Martha Stewart-designed cartridges, will launch exclusively on HSN. Stewart, who once had a line on QVC, will be joined on-air on HSN will be Martha Stewart Living Omnimedia crafting expert Alex Perruzzi, who will help demonstrate the many creative items being presented throughout the day. Key items from the Martha Stewart Crafts line include the Martha Stewart Crafts Punch and Stamp Kit, Large Circle Cutter, a 24-pk Iridescent Glitter Kit, the Scoreboard Kit, Essential Tool Kit, Essential Glitter Kit, and the Essential Punch Kit. Following Stewart’s debut in July, HSN will continue to offer customers valuable crafting tips and new innovations from her popular Martha Stewart Crafts line throughout the fall. 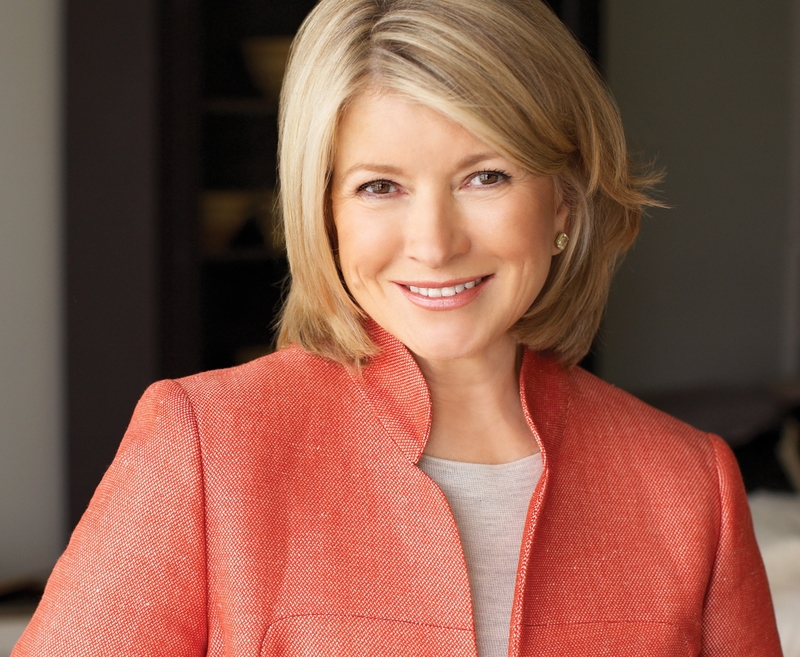 As we told you already, Martha Stewart will debut on HSN July 19. On Thursday the home shopping network released a few details about her debut. Business impresario and lifestyle icon Martha Stewart will make her debut on HSN on July 19 during a special series of live shows introducing her popular Martha Stewart Crafts collection. Starting at 12:01 A.M. (EST) and continuing throughout the day, Ms. Stewart will offer valuable tips and demonstrations to HSN’s customers with the assistance of Martha Stewart Living Omnimedia crafting expert Alex Perruzzi as part of the interactive multi-channel retailer’s month-long 33rd birthday celebration. Some of the merchandise that will be featured include the Martha Stewart Punch and Stamp Kit; Large Circle Cutter; a 24-pk Iridescent Glitter Kit; the Scoreboard Kit; the Essential Took Kit, Essential Glitter Kit, and the Essential Punch Kit. Additional items will also be available in exclusive configurations or at introductory prices at http://www.hsn.com. Stewart’s show times are midnight, which means she will have HSN’s Today’s Special, 11 a.m. to 1 p.m., 4 p.m. to 5 p.m., and 4 p.m. to 5 p.m., 9 p.m. to 11 p.m.
Lifestyle doyenne Martha Stewart, who hails from our former town of Nutley, N.J., is coming to HSN, debuting her Martha Stewart Living line July 19. Stewart, who did jail time for a little criminal charge involving stock trading, several years ago had a line on QVC. We remember seeing her on-air with Kathy Levine, that’s how long ago it was, and ol’ Martha was quite prickly and nasty. She didn’t last too long on the No. 1 home shopping channel. On Facebook Sunday HSN host Colleen Lopez posted about Stewart’s debut July 19, and we checked the HSN website and several of Stewart’s items are already on there. Those include an American flag, “patriotic” tubs, handheld flags and banners. The stuff is perfect for the Fourth of July, so we’re surprised that Stewart’s debut isn’t until July 19. Lopez said she can’t wait to meet Martha. This HSN deal isn’t all that Martha has cooking. Her company did a deal earlier this year to produce daytime programming for the Hallmark Channel. That programming starts airing in the fall, with Stewart’s signature “The Martha Stewart Show” moving to Hallmark. We have a soft spot in our heart for Stewart, and not because we’re into cooking or home decor. She is from Jersey, and you know that endears her to us. She is from the working class town of Nutley, where we lived for about a dozen years while we were working for The Herald-News. And we like Stewart because her birthday is Aug. 3, the same as our niece Sydney. Two Leos.